Growing up my family always had a big breakfast on Sundays. Pancakes were served and to this day I try to continue that tradition with The Husband. The pancakes of my childhood were always from a box mix but they were still delicious. I decided to try and make pancakes from scratch and looked on Pinterest for an easy recipe. They were amazing. So fluffy and buttery. I highly recommend making them. They have the power to change your life. 1. Mix all dry ingredients in a bowl until well combined. 2. In a separate bowl, beat the eggs and buttermilk together. Slowly pour in the butter. 3. Pour the wet ingredients into the dry ingredients and mix. Be careful to not over mix. It's okay for there to be some lumps left. 4. 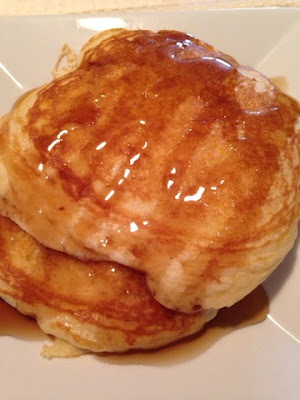 Heat griddle or pan and use about 1/3 cup of batter per pancake. Once bubbles form, flip. February is basically halfway over. How does that happen? This month The Husband and I will have our first, real anniversary. We got married on Leap Day so we are heading to Vegas to celebrate four years of wedded bliss. In the meantime, I have been busy with my sorority and other things that bring me joy. Since getting my NOOK, I have read six books in a month. It has been quite glorious to just see a book I am interested in and within seconds it's mine. I love that I am able to get the definition of words I don't know by touching the word. 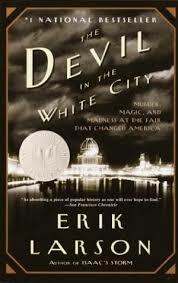 However, I miss touching a book and am currently reading the book version of The Devil in the White City. It is good and I am now fascinated by the Chicago World's Fair. Another amazing thing that I am excited about is I started taking a creative writing class at the University of Utah. Writing has always been a passion of mine. In middle school I used to write stories and hand the out to my friends. I am hoping the class will help me get over my fear of having other people read my work. There is a writing competition I would like to enter in May and think the feedback would be great. I bought some new cosmetics that I am excited to try. My sorority sister Katie recently started selling Younique makeup. I have always loved makeup but am terrible at matching my skin. She has been really great at answering my questions and explaining how products work with her videos. I can't wait to receive my stuff and try it out. We also had a Super Bowl party. Both our families came and I think it went really well. It took forever to make all the food and everything but it was great to have everyone get together and have a good time. I feel like the commercials weren't that great but below are my two favorites. Can I just say that you should watch all four of the NFL players doing their daughter's hair. It is precious!